Are you looking for alternative things to do in Phnom Penh, Cambodia? 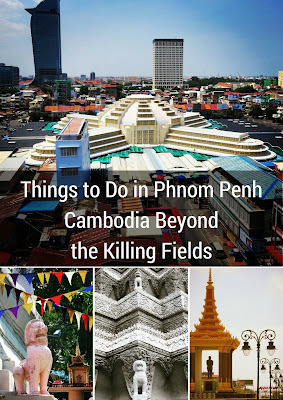 Most people stop in Phnom Penh for a brief visit to the Killing Fields and perhaps a short layover on the way to Angkor Wat. We visited Phnom Penh for a few days in April as part of an extended trip to Southeast Asia (#DrJSabbatical). 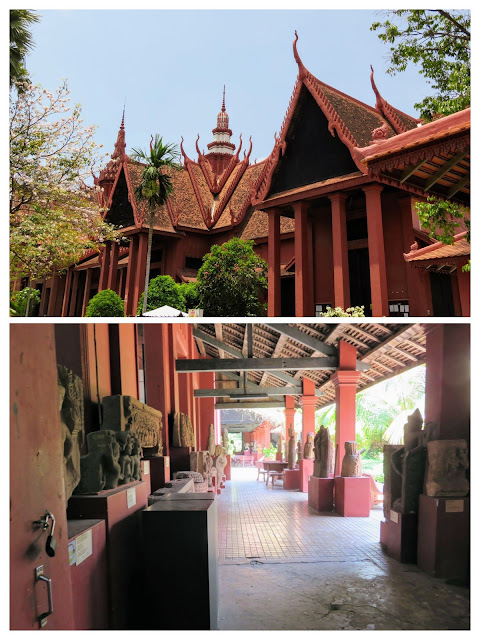 Is Phnom Penh worth visiting? We discovered that there are plenty of points of interest in the Cambodia capital to keep visitors busy for a few days. Here are some of our recommendations for alternative things to do on a city break in Phnom Penh after you've visited the Tuol Sleng Genocide Museum and Killing Fields. Phnom Penh is home to the National Museum of Cambodia. The National Museum features room after room of stone carvings and artifacts. Many of the pieces date back to the great emperors of the Khmer civilization and come from Angkor Wat or the many temples around it. 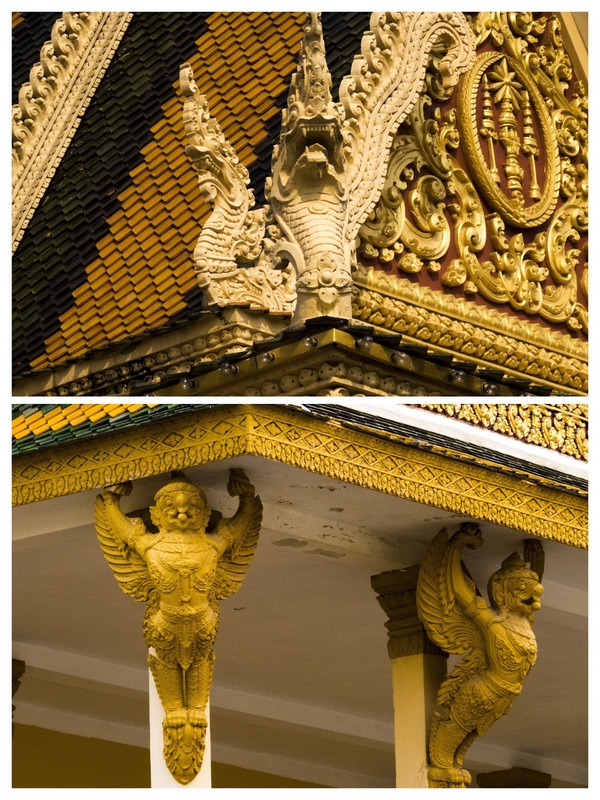 The National Museum buildings are also great examples of traditional Cambodian architecture. Definitely check it out. 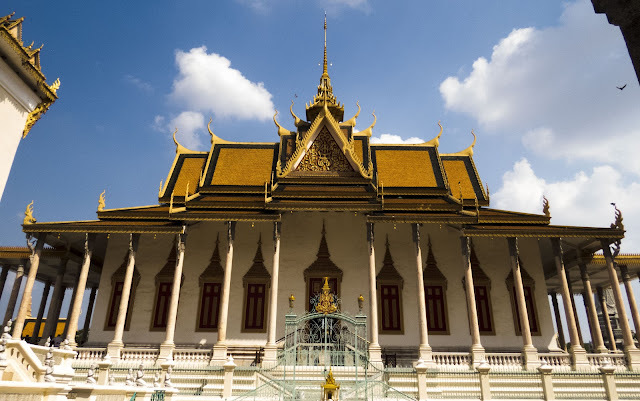 It's easy to spend a few hours at the expansive Royal Palace in Phnom Penh. Golden rooftops pop against bright white facades. Ornate stupas and intricate ornamentation will vie for your attention. 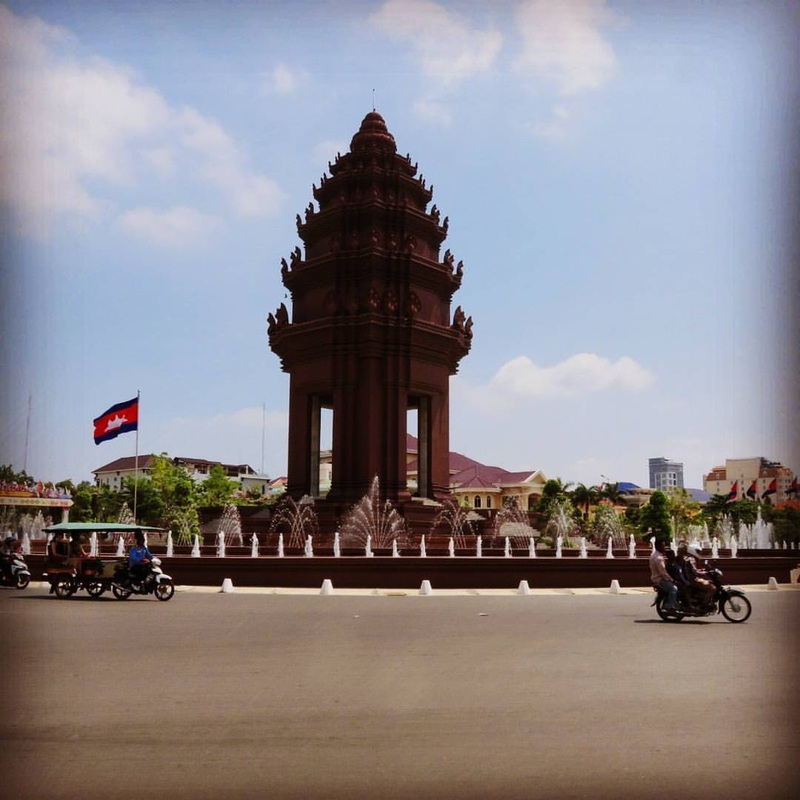 Check out the impressive Independence Monument in Phnom Penh. Today it sits in the middle of a traffic circle and rises impressively above the traffic below. A small park leads away from the Independence Monument towards the Tonle Sap River and makes for a lovely walk. Just don't attempt this walk in the heat of the afternoon since there is very little shade here. 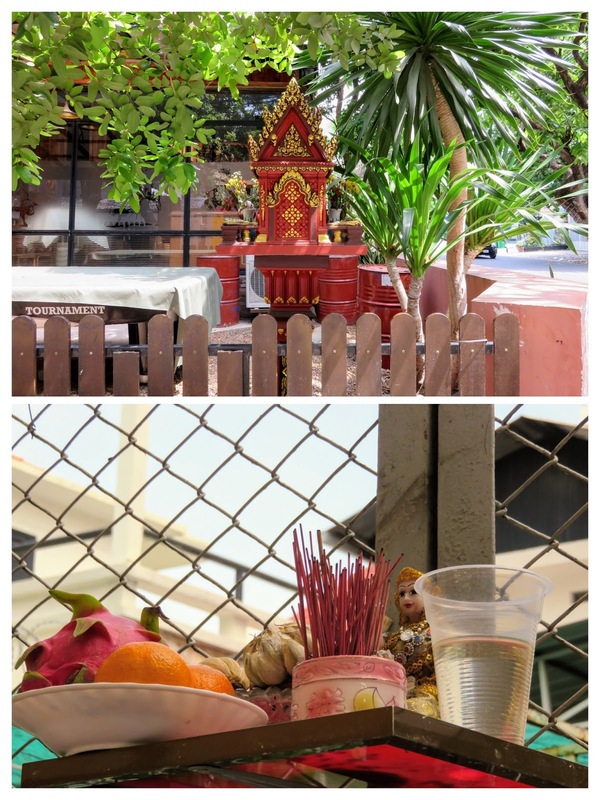 Everywhere we walked in Phnom Penh, we were surprised and delighted to see small shrines set-up outside various homes and businesses. We learned that these are spirit houses and are shrines to the protective spirit of a place. The style of the spirit houses varied widely and many presented a small offering of fruit or a beverage. It was fascinating to see. We live in Ireland and don't do particularly well with heat. It was important for us to have a strategy to beat the April heat and humidity when we visited Phnom Penh. Our answer was to seek our air-conditioning whenever we could for a brief respite. We found that Sorya Mall near the central market in Phnom Penh was a lifesaver in this regard. Sorya Mall has a supermarket on the ground floor. 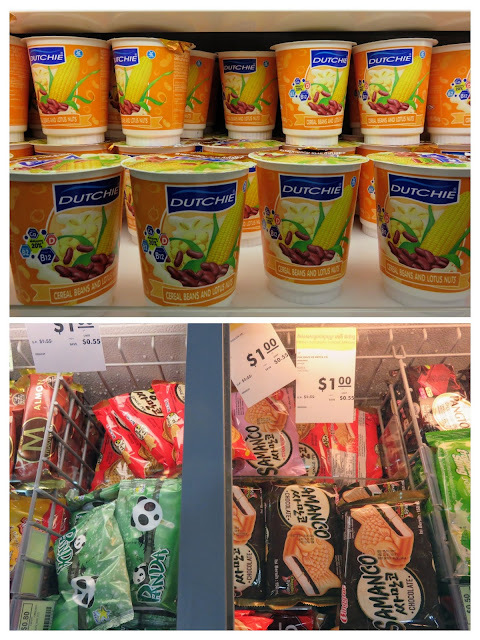 We love shopping for local snacks. The most unusual thing that we tried was yogurt with corn and red beans. The flavor was objectively fine but my mind had a hard time processing this flavor combination in yogurt form. You can ride an elevator to the top floor of Sorya Mall for views across Phnom Penh. Another added bonus! We really enjoyed the Cambodian food that we sampled in Phnom Penh, so we definitely recommend making time to have a nice dinner. Cambodian cuisine feels like a cross between Thai and Vietnamese cuisine to me with a healthy dose of spiciness. We also loved the great ambiance at many of the nicer restaurants. 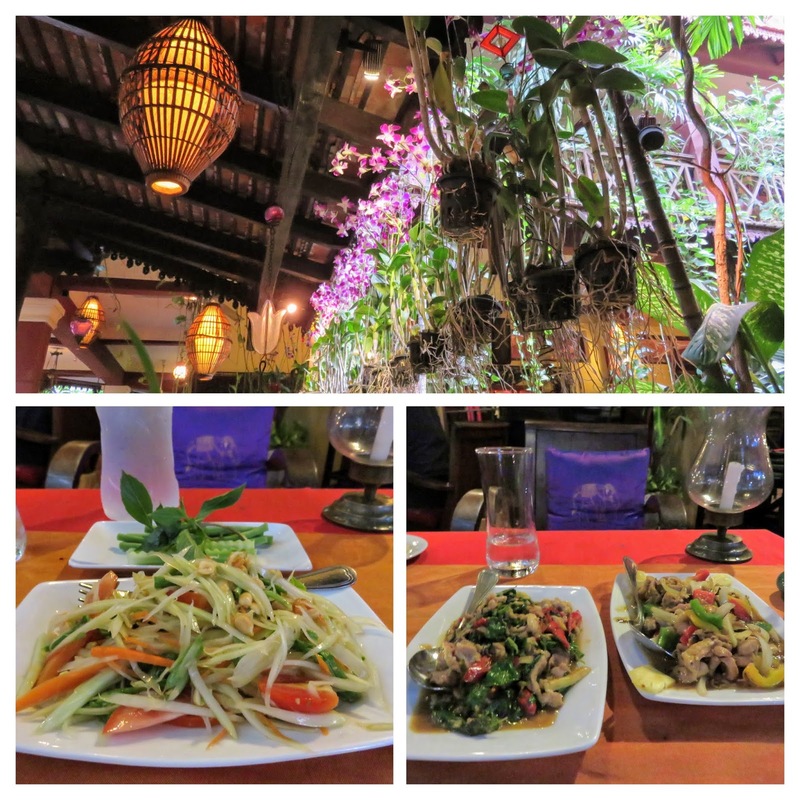 We discovered Khmer Surin restaurant close to our hotel and ended up eating there twice. The tables are arranged around an open courtyard filled with lush greenery and a pond so make sure to apply DEET before you eat :-) We tried a spicy papaya salad and two stir fry dishes which were delicious especially for the price of around $6 USD per dish. I love how affordable it is to get a massage in Southeast Asia and definitely recommend booking yourself in for a spa treatment. Cambodia is known for Khmer Massage. To me, it felt like a variant of Thai massage. They give you a loose fitting pair of trousers and top to change into. The massage is done without oil and the therapist essentially climbs all over to get leverage. Such strength! Khmer massage is very intense but I found it relaxing in spite of this. In fact, I almost fell asleep during my treatment! At $15 USD for 45 minutes, the massage was good value by US/European standards. You can definitely get massages for cheaper than this in Cambodia but for me, the hygiene standards and convenience of doing it at my hotel were worth the "premium" we paid. Wat Phnom, a 600+ year old Buddhist Temple on a hill in the heart of Phnom Penh and symbolic soul of the city, is definitely worth a visit. 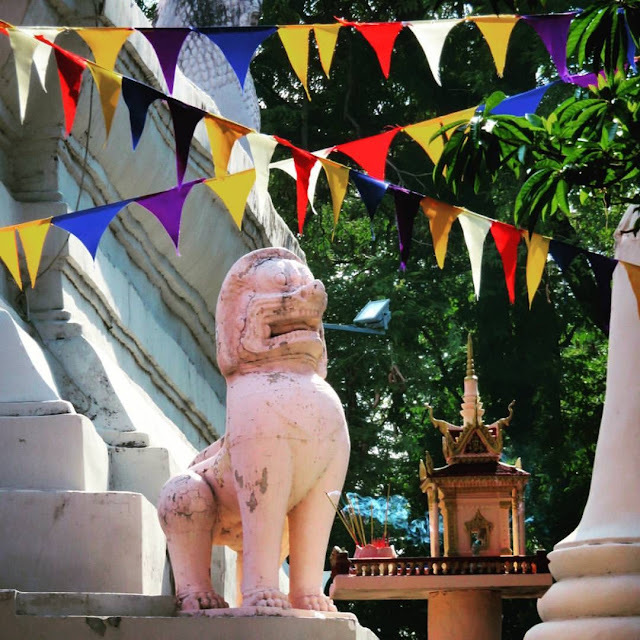 We happened to be in Phnom Penh for the Khmer New Year and all the local celebrations center around the temple and surrounding park. We climbed the hill to check out the temple and look out upon the festival below. 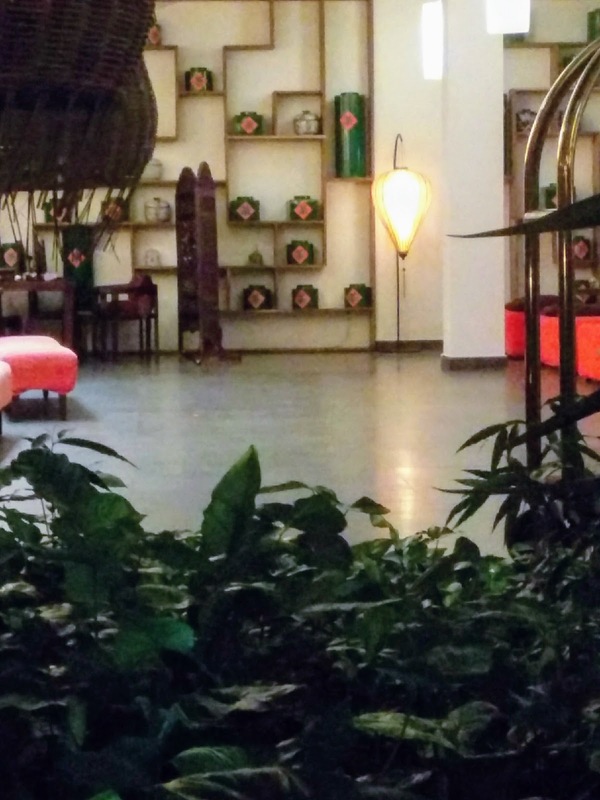 What's the best way to end a visit to Phnom Penh? Take a sunset cruise on the Tonle Sap and Mekong Rivers. We booked our 90 minute cruise through Memorable Cambodia. We boarded a double-decked wooden boat and were treated to unlimited beers and soft drinks on board plus a lovely platter of local fruit. 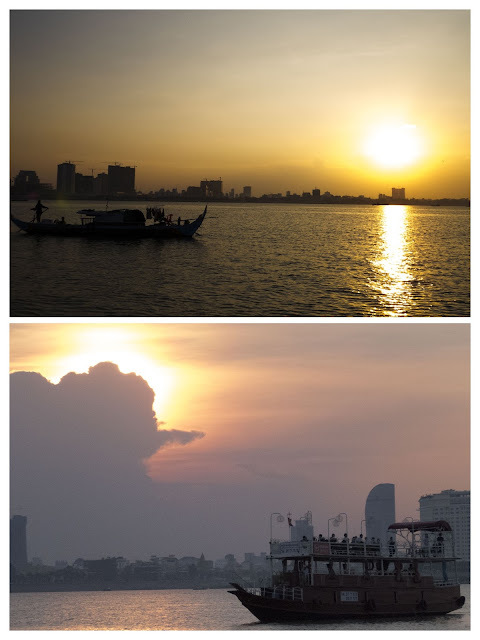 It was amazing to get a glimpse of Cambodia from the quiet of the water; checking out both the evolving skyline of Phnom Penh and the small fishing villages along the rivers. Cities in Southeast Asia can be quite frenetic and Phnom Penh is no exception. It was fantastic to end our trip to the Cambodian Capital on a more serene note. 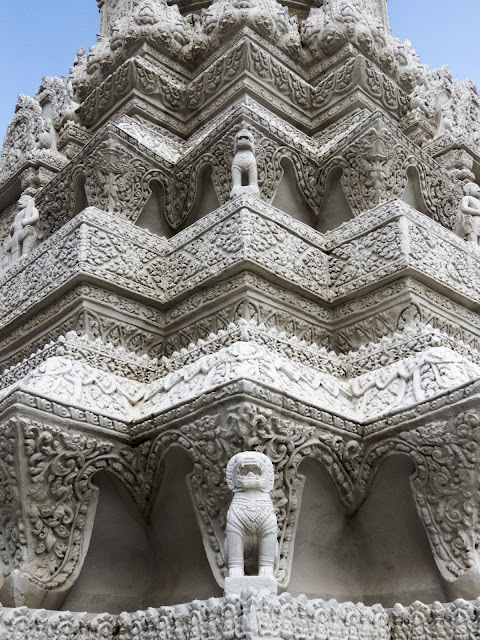 Have you visited Phnom Penh? What are your top recommendations for things to do in the Cambodian Capital? 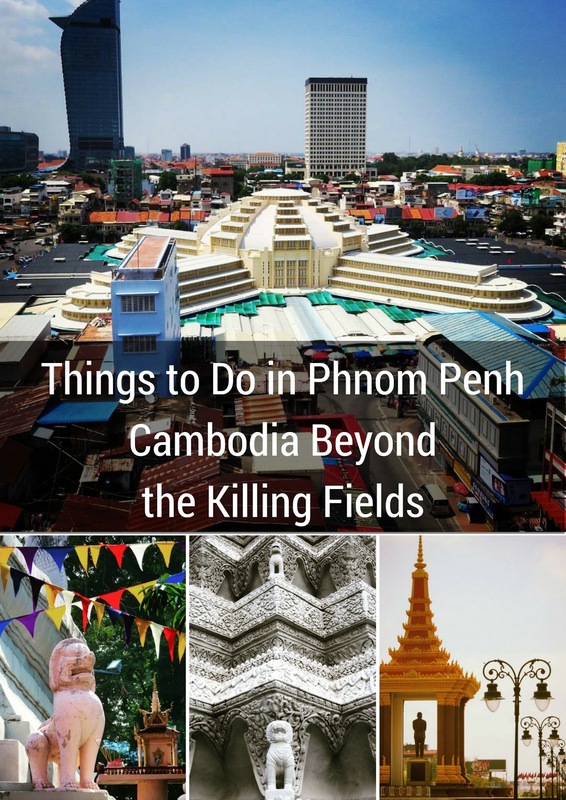 Learn about alternative things to do in Phnom Penh, Cambodia beyond the Killing Fields and other sites of the Cambodian Genocide.